For word search lovers who want a little extra brain workout, this is the game for you! 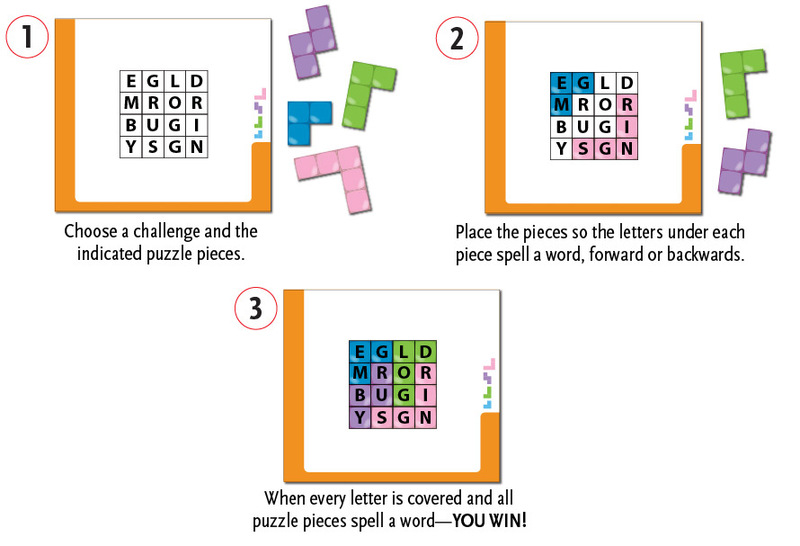 In this amalgamation of polyominoes and word search, players select a challenge and then place the pieces onto the challenge so that the letters under each piece spell a word either forward or backward. Not only will this game give your vocabulary a run for its money, it will strengthen your visual perception and reasoning skills.